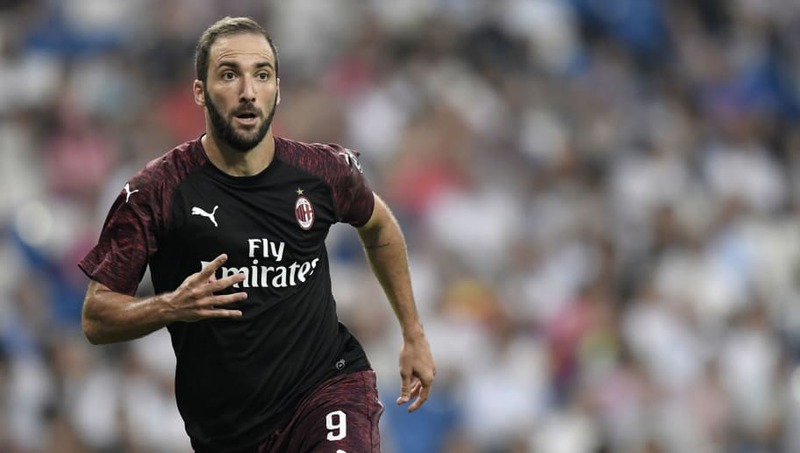 Maurizio Sarri has expressed his disappointment that ​Chelsea couldn't get a deal done for Gonzalo Higuain this summer. The Chelsea boss spoke to Sky Sports Italia via the ​Daily Star, saying: "It's a little regret but in the end everyone after the market has a few little regrets." The Argentine striker was strongly linked with a move to the Blues after his former Napoli manager Sarri was appointed as the London club's manager during the summer. He was seen as an ideal solution to Chelsea's striker problems, but instead he ended up going on a season-long loan to ​AC Milan because he felt that their convictions were stronger. The best year of Higuain's career came under Sarri in 2015/16, when he scored 38 goals for ​Napoli and earned a summer move to ​Juventus. He explained he chose to join Milan instead of Chelsea because he felt that Sarri was the only man who wanted him at Stamford Bridge. "I have huge respect for Sarri, but he was the only one who wanted me at Chelsea," said Higuain. "Here at Milan everyone wanted me. The motivation and conviction they showed at Milan was fundamental." With Michy Batshuayi going on loan to Valencia, Chelsea's only senior strikers are Alvaro Morata and Olivier Giroud, who scored just 18 goals between them in the 2017/18 ​Premier League. However, it didn't seem to trouble them on Saturday as they eased past ​Huddersfield in Sarri's first competitive game, ​winning 3-0 at the John Smith's Stadium. Next week will prove a tougher test of their mettle as they host ​Arsenal at Stamford Bridge for a battle between two brand new Premier League managers.